The bright lights of Las Vegas await AMD, which wants to change the face of gambling with its new graphics-focused G-series processing chips. 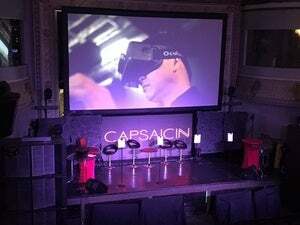 The chips will bring 4K graphics to gambling machines and could lead to a more immersive gaming experience, said Scott Aylor, corporate vice president and general manager for enterprise solutions at AMD. Gambling could also become more interactive through gesture and face recognition on devices using the chip. AMD also sees a big opportunity for the chips in pachinko arcades in Japan, Aylor said. AMD is also targeting the chips at a broader market of graphics-hungry hardware, such as medical equipment, digital signs, ATMs, point-of-sale systems and industrial hardware. But the focus on the gambling market is a microcosm of AMD's new strategy of applying its limited resources to areas where it could score big contracts to supply millions of chips. In the past, AMD chased gaming aggressively, and its chips are in Sony's PlayStation 4 and Microsoft's Xbox One consoles. AMD hopes to generate more revenue from the embedded market as it looks to cut its reliance on the declining PC market. AMD is also targeting the new chips at robots and Internet of Things devices. The chips can process visuals and data on board before sending information to repositories. As a result, IoT devices could send out more structured data. A G-series predecessor, the Geode chip, is still being used in One Laptop Per Child's aging XO laptop. The G-series chips offer faster CPUs, GPUs, memory and bandwidth, and pack more performance while consuming the same amount of power. The new chip lines include the second-generation G-Series LX and third-generation I and J series. The LX family is based on the Jaguar CPU core, which is installed in the latest gaming consoles. It draws up to 10 watts of power. The I and J series have the newer Excavator CPU core and focus on graphics. The I series has two CPU cores, four graphics cores and DDR4 memory, and it draws up to 15 watts of power. The J series is similar to the I series, but has two CPU cores and draws up to 10 watts. The chips support Windows and Linux operating systems. AMD has no plans to support Google's Chrome OS, Aylor said.